Extrasolar planets are being discovered by astronomers routinely these days. It's now a fact that out galaxy is rich with planets of different sizes and distances from their parent stars. It's just like what science fiction writers have envisioned all this time. But while we used to only read about such discoveries and pictures of the new planets are always unavailable. Now, for the first time, astronomers have shown pictures of a planet (Fomalhaut b) of the Fomalhaut (Arabic for "mouth of fish") system. 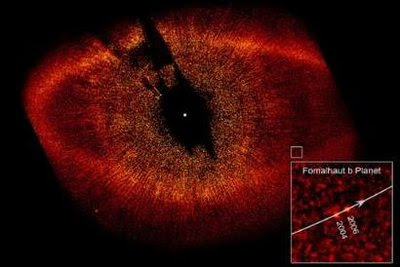 The picture of the star, which is surrounded by a ring of gas that looks like the Eye of Sauron in the Lord of the Rings movies, was taken way back in 2006, but the discovery of Fomalhaut b was released only on November 13, 2008. It is one of the first visible-light images of a planet that's 25 light years from our Sun. The camera used to capture it is mounted on the Hubble Space Telescope. 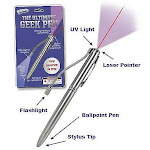 Astronomer Paul Kalas and his team at the University of California in Berkeley, were responsible for the images.